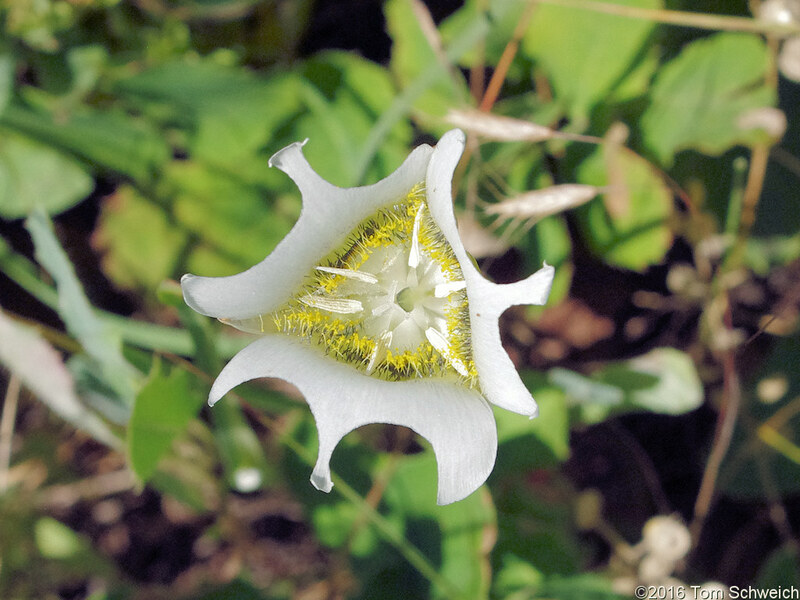 Photo: Calochortus gunnisonii with semi-circular segments cut from petals. Eastern Mojave Vegetation Calochortus gunnisonii with semi-circular segments cut from petals. A leaf-cutter bee was observed nearby cutting similar shaped segments from the petals of Argemone polyanthemos. Field Notes: Coll. No. 1484, 6 Jul 2016.